In my last Art Blanche installment, I asked if a herd of thirty performers, dressed in colorfully fringed and adorned horse costumes would be enough to turn your head away from your busy commute. 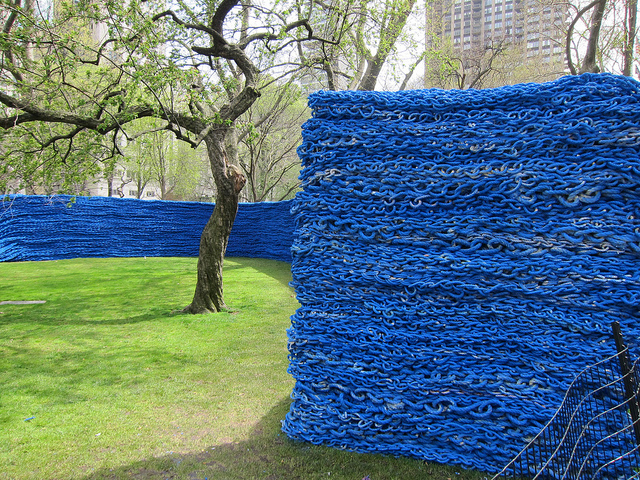 If your answer to that question was “No”, would 1.4 million feet of repurposed rope, equal to more than 20 times the length of Manhattan, undulating in primary colors throughout Madison Square Park, give you a new perspective on your surroundings? Public art in the city fulfills the unique purpose of adding an edge to the already cluttered urban landscape. New York based artist Orly Genger calls this landscape itself into question with an installation that both responds to and challenges its surroundings. 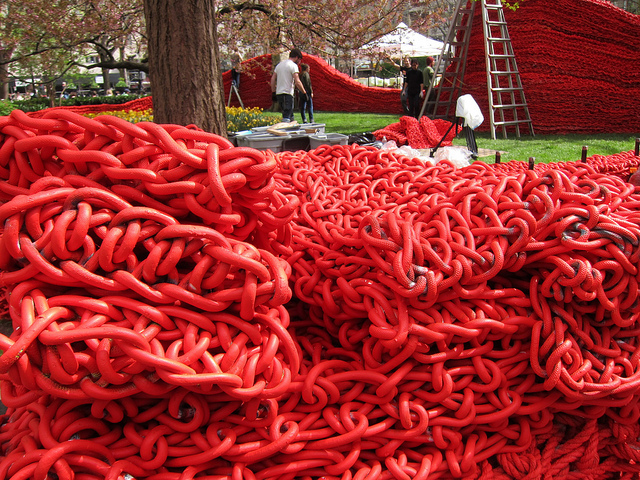 Fashioned out of nautical rope gathered from the East Coast and then meticulously knotted by hand, the massive installation Red, Yellow, and Blue encompasses multiple layers of meaning, both literally and figuratively. 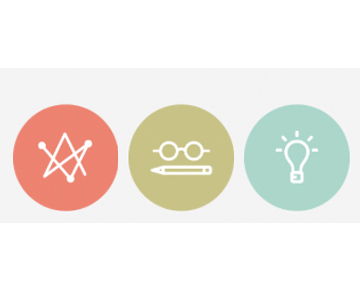 Physicality is important to the artist, and she is inspired by Minimalism and interaction in work by artists such as Richard Serra and Felix Gonzalez-Torres. Genger’s installations have been described as “aggressive”, and almost appear to man-handle the spaces in which they reside. At the same time, there is a calming quality to the repeated links and knots, and the installations seem to undulate without actually moving. The colorways of these works are also important because they provide a stark contrast to the landscape of the park and surrounding buildings, and the form encourages exploration and movement. This work is as much about interaction (an ideal that is mirrored in form through the links) as it is about spectacle, and also provides a backdrop for the goings-on within and around Madison Square Park. 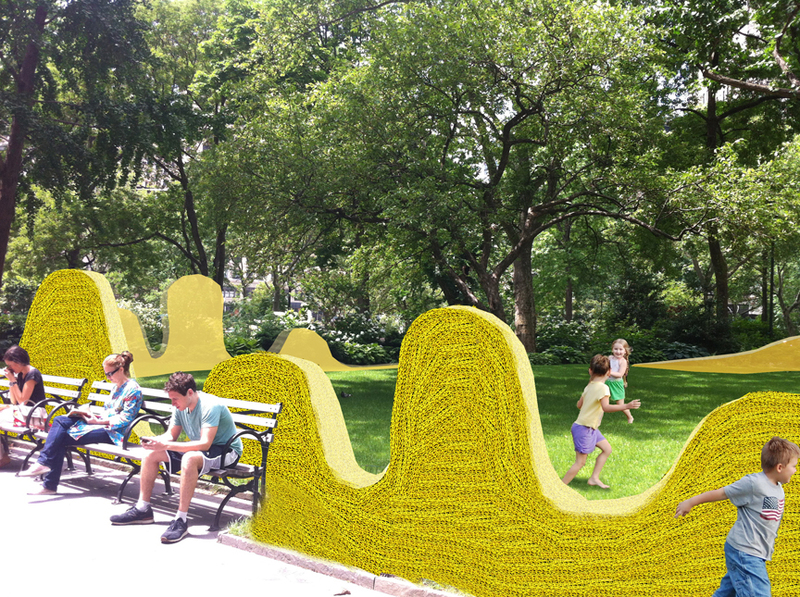 I look forward to seeing the way the installation alters the experience for park-goers and encourages them to experience the park—and their city—in a new way. 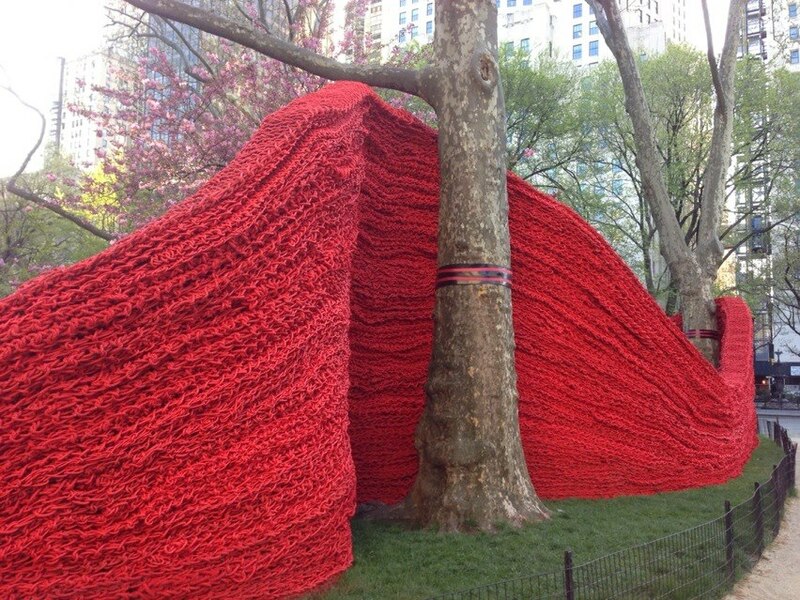 Red, Yellow, and Blue officially “opens” on May 2, but you can see the installation process now taking place in Madison Square Park. It will be on view through September 8, and I will be posting an outfit inspired by the installation at Artfully Awear. Images via the Curbed Flickr pool, madisonsquarepark.org, and Olga Grisaitis.